Born in Chula Vista, Calif., daughter of Robert & Deloris Woore Wilberding. She married Scott Denniston on Jan. 12, 2001, in Waterloo. 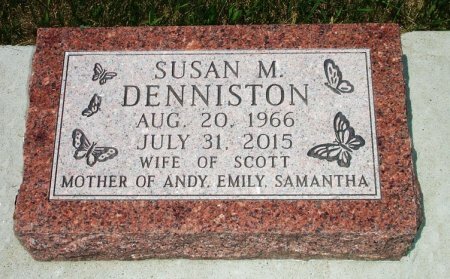 Searching for SUSAN MARIE WILBERDING DENNISTON in Black Hawk County Iowa?